Food courts at Velana International Airport (VIA) departure concourse area and Departure Terminal offers a choice of international cuisine from leading international brands such as Burger King, Thai Express, The Pizza Company, The Coffee Club, The Dairy Queen, Gloria Jean’s Coffees and Costa Coffee. The newly established Waterfront Franchise Building opposite the Domestic Terminal hosts further leading brands such as Pizza Hut, Costa Coffee, KFC, Harvest Market and Secret Recipe. It is designed to offer an enjoyable environment with a remarkable view of the lagoon and the skyline of the capital city of Malé. VIA plans to extend its F&B outlets in the near future to include more varieties and internationally renowned brands. The Coffee Club is one of Australia's fastest growing and best known restaurant franchisors which provide great coffee and an all-day menu, serving breakfast, lunch, and dinner with the relaxed and casual atmosphere of the cafe. 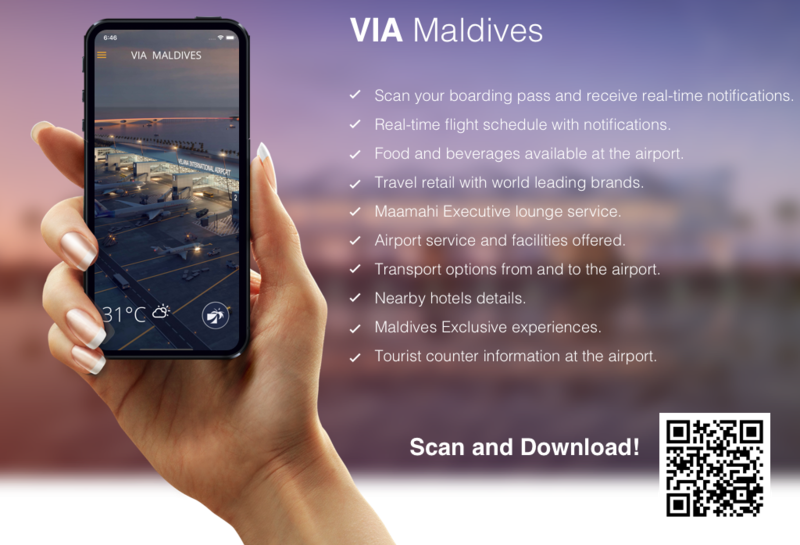 The 2 outlets of coffee club are located at the departure gate food court and at the first floor departure terminal at Velana International Airport. A casual Thai restaurant, offers travelers with authentic Thai cuisine amidst a relaxed yet contemporary ambiance at very reasonable prices. Thai Express outlet is located at the departure gate food court at Velana International Airport.